On July 31st the Dallas Wings had the honor of running a a camp with the Lady Maverick 2018 Women’s Development Camp. 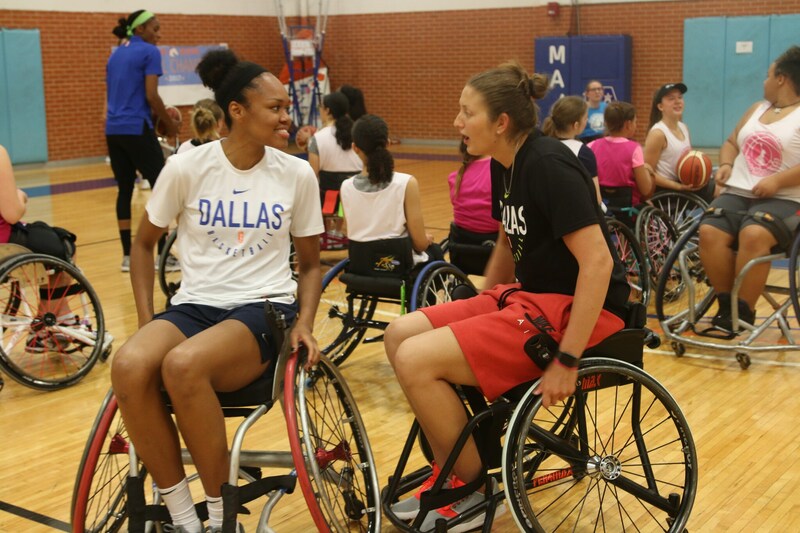 In partnership with the University of Texas at Arlington’s Lady Movin’ Mavs wheelchair basketball team, Dallas Wings players met the campers and got in chairs of their own to work with these great athletes. 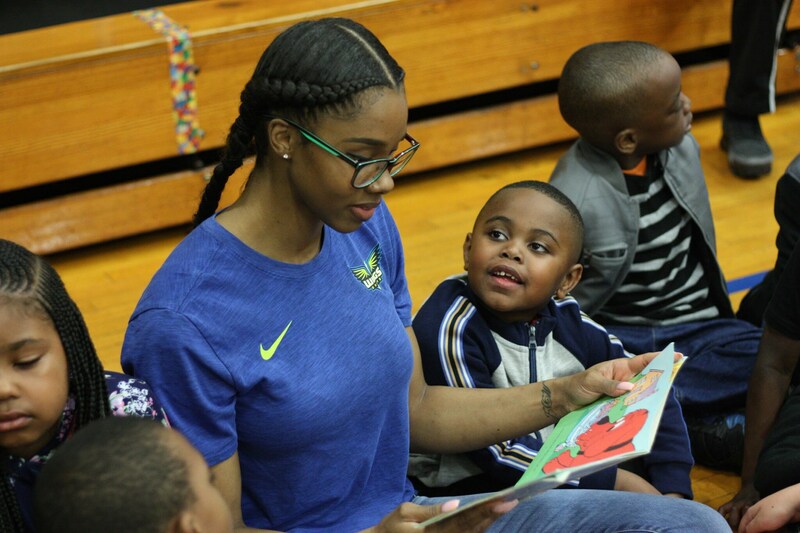 Throughout the 2018 WNBA Season, the Dallas Wings Team and Coaching Staff visited numerous Boys & Girls Clubs in Arlington, Grand Prairie, Dallas, and Fort Worth. They touched on subjects ranging from basketball to arts and crafts and nutrition. Meet The Dallas Wings Mascot: Lightning! Lightning, the official mascot of the Dallas Wings, made her grand debut on May 20, 2017. Lightning flies in a lane of her own, with her bright personality and cheerful enthusiasm which inspires fans to get on their feet and rally behind the players from tip-off to the final buzzer.Lightning has a unique origin. As a Pegasus, she represents Dallas-Fort Worth, where the winged horse flies high above the city. She believes in the strength of North Texas and of the Dallas Wings, encouraging fans to cheer on their team with the upmost support. Lightning brings the electricity to College Park Center that energize the arena. Feel the buzz? It’s probably Lightning bringing the charge.